One of the challenges parents face in keeping kids safe is how to communicate important safety measures while at the same time, ensuring children aren’t unduly wary of going out into the world where they may encounter strangers. In general, children should not interact with strangers—people they don’t know. By definition a stranger is anyone not known. While we don’t want children to live in fear, they need to know there could be some strangers who would do them harm. Here is a list of guidelines for keeping your children safe in public places. A stranger is merely someone they don’t know, without regard to appearance, age, gender, etc. Those with bad intentions are often able to appear very friendly and non-threatening. Never to talk to or approach a stranger, especially when the child is alone. Further, they should not take anything from a stranger including a ride home, candy or an offer to pet a cute little animal. Children should not be left alone under any circumstances in public places such as shopping malls or parking lots. A code word to be used whenever a person other than their parents is authorized to take them somewhere. The code word should be chosen, practiced and given only by parents to a designated family friend. His or her complete name, address and phone number. In addition children should know how to use the telephone and how to dial 911. To avoid situations where they would be alone in public. And if approached by a stranger they should be taught, “No, Go and Yell.” That is, they should say “No” to any advance, remove themselves from the situation as quickly as possible, and if necessary scream, yell and protect themselves in the loudest manner possible. To always get permission from their parents before going from one play area to another. There is safety in familiar places and danger in unfamiliar ones. That in an emergency they should go directly to a business or other “safe zone” where they can seek help. 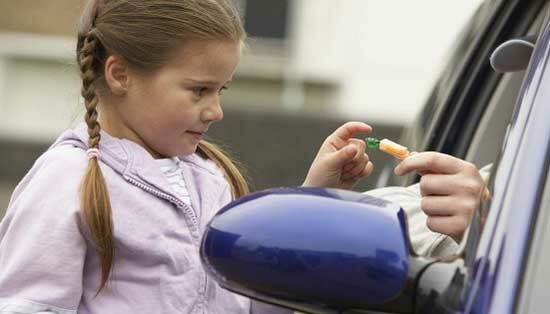 A major part of ensuring your child’s safety is raising their awareness. Self confidence will grow as children take part in family safety discussions and engage in role playing of proper behavior in instances of danger. Let your children know that their basic instincts are often their best protection. If something doesn’t “feel right” it probably isn’t. For some online help on this subject go to www.kidpower.org and follow the tab marked stranger safety. You’ll also find advice and kid-friendly lessons on safety at www.mcgruff.org.